High-tech features and a supremely powerful amplifier team up to produce some of the deepest, cleanest bass you'll experience outside of an IMAX theater. A friend who owns a local hi-fi store once brought me into the store’s listening room to hear some of their best audio equipment: A pair of Wilson Sasha loudspeakers ($26,900 for the pair) driven by a Ayre KX-R Twenty preamp ($27,500) and a pair of Ayre MX-R Twenty reference mono block amplifiers ($29,500 for the pair), anchored by a JL Gotham subwoofer ($15,000). While the system’s overall audio performance was stunning, I’ll never forget the sensation I got from the JL Gotham sub: It produced the tightest, deepest, cleanest, and most authoritative bass I’d ever heard. Ever since that day, I’ve searched for a subwoofer that could offer a similar experience at a far more accessible price. 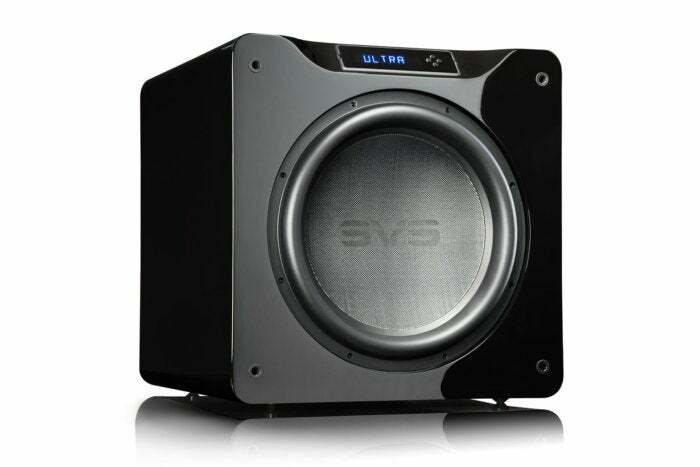 My search is finally over: SVS’ new SB16-Ultra subwoofer delivers what I’ve been looking for at a price of $2000. The SB16-Ultra will fit into any reference-grade movie or music setup, and it sports every conceivable connection option you could want. Whether you’re a two-channel purist and want to add a sub to your monitors or additional bass for to your tower speakers, or you have the latest Dolby Atmos, DTS:X, or Auro-3D immersive audio setup, the SB16-Ultra has you covered. You can connect the sub to your high-end A/V receiver using balanced stereo (XLR) or unbalanced stereo (RCA) inputs and outputs. Balanced inputs are are particularly good at rejecting noise over long wire runs. 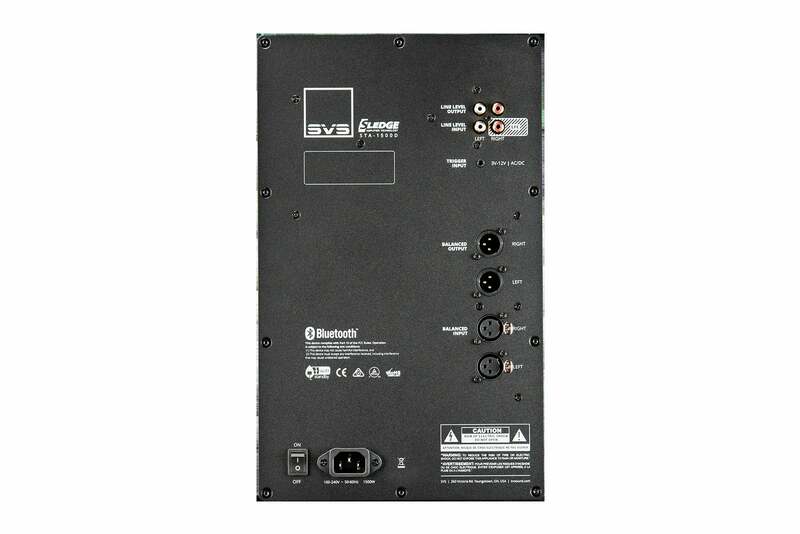 With the included inputs and outputs you can daisy-chain multiple SB16-Ultra subs together. This is especially handy if your AVR or pre-processor has limited subwoofer outputs, or if you want to manage your wire runs a certain way. The SVS SB16-Ultra display is large, clear, and bright and can be seen from a distance. The brightness of the display can be dimmed or turned off altogether. The integrated 3.5mm 12-volt trigger makes the SB16-Ultra easy to integrate into a smart-home, too, or you can just set the sub to automatically power up when it senses an incoming audio signal. The SB16-Ultra will redefine any preconceived notions you might have about a reference subwoofer—or any subwoofer for that matter. The sub’s main driver is capable of reproducing frequencies down to 16Hz (±3 dB). That means you’ll be able to hear and feel the lowest and deepest notes of the world’s great pipe organs and experience the full impact of a movie’s LFE (low frequency effects) channel. The 16-inch cone is comprised of a premium fiberglass resin composite that SVS claims won’t flex or distort out of control. What’s especially notable about these performance specifications is the fact that the SB16-Ultra is a sealed design. There are no ports in this sub’s thick MDF enclosure to extend its subsonic frequency range. And that’s a good thing. 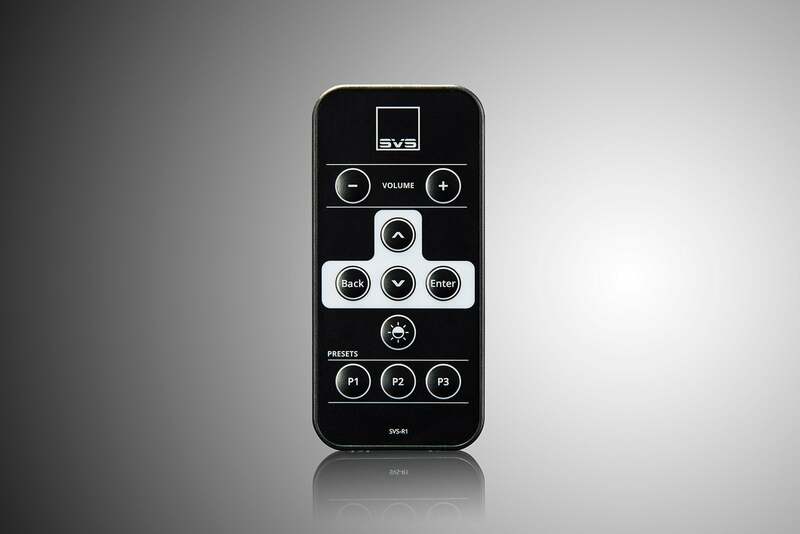 The SB16-Ultra comes with a traditional IR remote in addition to the iOS and Android mobile app. Music connoisseurs prefer sealed designs because, as a general rule, they tend to sound tighter, with more accurate bass than ported designs. (You can read a more in-depth explanation of the differences between sealed and ported sub designs in this Audioholics story.) Personally, I prefer sealed subwoofer designs for both music and movies. To move such a massive driver, there is an 8-inch edge-wound voice coil that is driven by a Sledge STA-1500D amplifier with a fully discrete MOSFET output stage. The Class D amplifier is capable of delivering 1500 watts RMS continuous and more than 5000 watts peak dynamic power. SVS says the sub has active power factor correction (PFC) and will ensure a clean 1500 watts of output regardless of your home electrical supply. The massive 16-inch cone is driven by a 1500 watt RMS Class D amplifier capable of producing more than 5000-watt peaks. The SB16 Ultra is an imposing tank of speaker that’s loaded to the brim with precision high tech, including a 50MHz Analog Devices Audio digital signal processor (DSP) with 56-bit filtering. The SB16-Ultra’s perforated metal grille protects the sub’s massive cone from any damage. All this tech helps the SB16-Ultra perform optimally and no matter what volume I played this sub at and no matter what material I threw at it, it never exhibited a hint of strain. 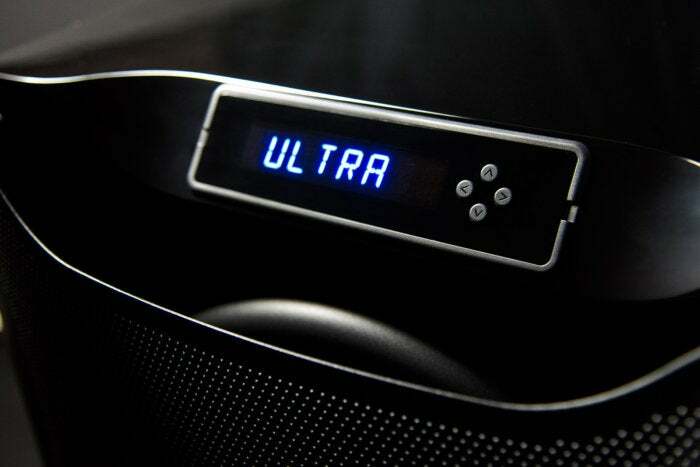 All the sub’s high-tech functions are accessible from the SB16-Ultra’s angled front panel. You’ll find a vast array of options such as volume, phase, polarity, low-pass filters, parametric EQ, room gain compensation, and more here. The display is big and bright and you can see it from a good 15 feet away. If the display’s brightness is a problem, you can dim it or turn it completely off. Previous SVS models had the display on the sub’s rear panel, and it was a real pain to access once you had your sub set up. 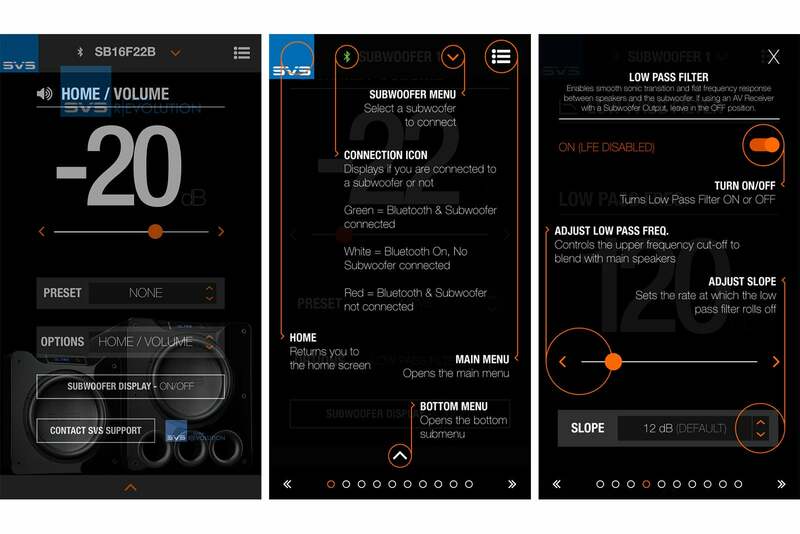 Unlike most subwoofers, the SB16-Ultra also comes with a companion mobile app for Android and iOS devices. The app communicates with the SB16-Ultra via Bluetooth and performs many tasks you’d traditionally manage with analog-style controls. You can even control multiple SB16-Ultra subs from the single app. The iOS and Android app gives you the ability to harness the full DSP power of the SB16-Ultra. You can save and load different profiles of settings. What’s best is that you have the ability to set and save different settings and recall them at virtually any time. For example, you can set multiple volume presets and recall them at the press of a button. You could save one setting for music and another for movies, with the movie volume set +2dB higher for extra impact. This is an incredibly handy feature that you’d typically only find in high-end preamp processors or very high-end subs. The only criticism I can muster against the SB16-Ultra is that it doesn’t have automated EQ. 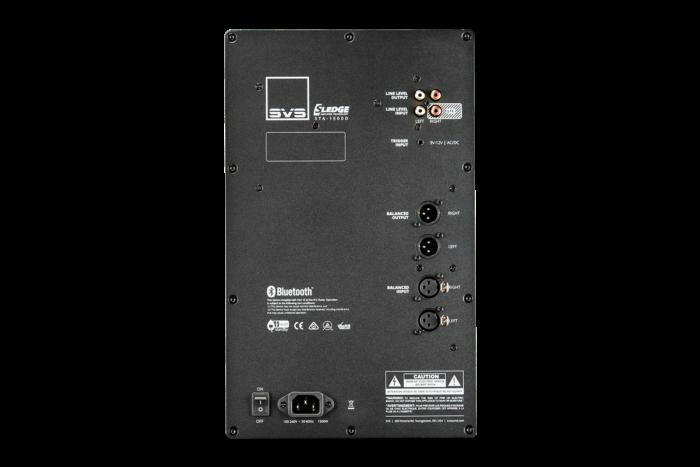 But that complaint doesn’t go very far since just about every home theater AVR or preamp today comes with some type of room-correction circuitry. And two-channel purists with high-end equipment typically eschew automated EQ anyway; for that crowd, SVS provides built-in parametric EQ and room gain features that allow you dial the subwoofer into your room with precision. 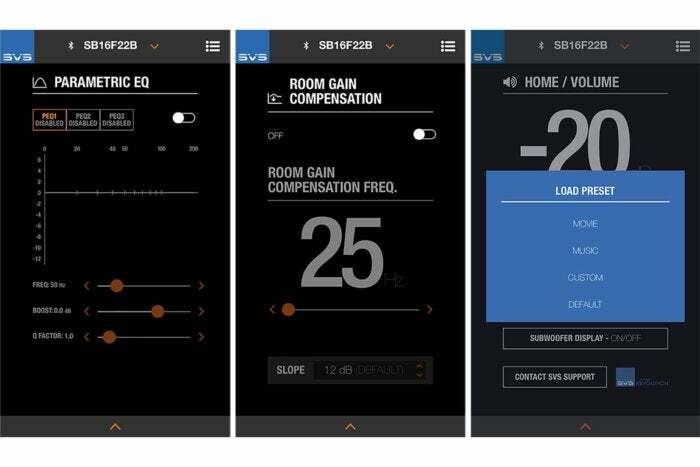 With the app, you can take measurements with third-party tools, make the adjustments from your listening position via the Bluetooth app, and then hear your results in real time. Is that a subwoofer or a washing machine? When the 145-pound SB16-Ultra box arrived, the FedEx delivery man asked “What is this, a washing machine?” It took both of us to bring the sub inside. Fortunately, the SB16-Ultra’s box comes with smart handles built into the box on either side, making it simple (relatively speaking) to carry. Unpacking the massive SB16-Ultra was incredibly easy. The outside of the box comes with step-by-step instructions. Once inside, unboxing the approximately 20-inch cubed, 122-pound sub was easy (seriously!). The massive subwoofer comes double-boxed for added protection. 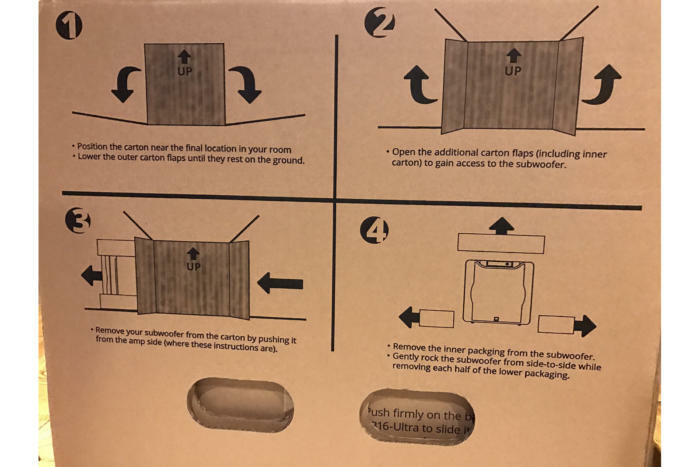 SVS includes step-by step directions on how to unbox the sub and which side to open first. As a final step, you simply push the sub out of the box. Brilliant. My review unit came with a mirror-like, gloss piano-black finish, but the sub is available in a black oak veneer finish, too. Build quality and attention to detail are impeccable, the slightly rounded steel mesh grille on both models protects the massive cone like a Spartan’s phalanx shield. My home theater setup and test environment consist of SVS’ Ultra Tower speakers and Ultra monitors, but I really wanted to scrutinize the SB16-Ultra workout by testing it with a high-end pair of Revel Ultima2 Salon speakers. The Salon2s, however, are located in a physically different listening room at another location. I therefore had to lug that massive SB16-Ultra sub there. I paired it with a high-end Anthem AVM 60 preamp/processor (also in for review) and a pair of Benchmark Media Systems' AHB2 amplifiers driving the Salon2s. This listening room is large, at about 5000 cubic inches, but the SB16-Ultra had no trouble whatsoever pressurizing that space. I was able to control every conceivable aspect of the SB16-Ultra’s features from my couch via the app and sample the results in real-time. I equalized the subwoofer into the room with the Anthem AVM 60’s ARC room correction system. This is the same room correction system featured in Paradigm’s PW Amplifier that I reviewed here. The results were spectacular. I’ve listened to the Revel speakers in this location on and off for several years. There isn’t a single subwoofer that’s come or gone for review that’s truly been able to keep up with them. That changed with the SB16-Ultra. Not only could the SB16-ultra keep up with the Salon2’s, but it perfectly and seamlessly matched to the point where I preferred listening to two-channel music with the subwoofer connected. That’s never happened before. Genre after genre, album after album, song after song, it was an experience I won’t soon forget. For example, on the song “Royals” by Lorde from the album Pure Heroine bass notes in the refrain were veritable subsonic bass-infused depth charges. But forget about bass as simply slam. The pristine clarity and authority was awe inspiring. The hi-resolution FLAC version of Hans Zimmer’s “Imagine the Fire,” from the Dark Knight Rises soundtrack, will wrestle inferior subs into submission. But not this one. The SB16-Ultra handled every single note with the finest detail and without relinquishing a hint of the track’s chest-pounding impact. Perhaps most importantly, I heard and felt notes with an authority that the Salon2’s just couldn’t muster on their own—and the Salon2s play down to 23Hz (±3dB). I fired up different renditions of Richard Strauss’ Also Sprach Zarathustra (the opening section of which is featured in the Stanley Kubrick classic 2001: A Space Odyssey) from multiple orchestras. There are deep organ notes that form the piece’s foundation from beginning to end. You won’t hear them (much less feel them) on inferior systems. The reproduction was glorious here—the best I’ve ever heard. The same held true of “Journey to the Line,” from The Thin Red Line soundtrack, and Camille Saint-Saëns’ Symphony No. 3. 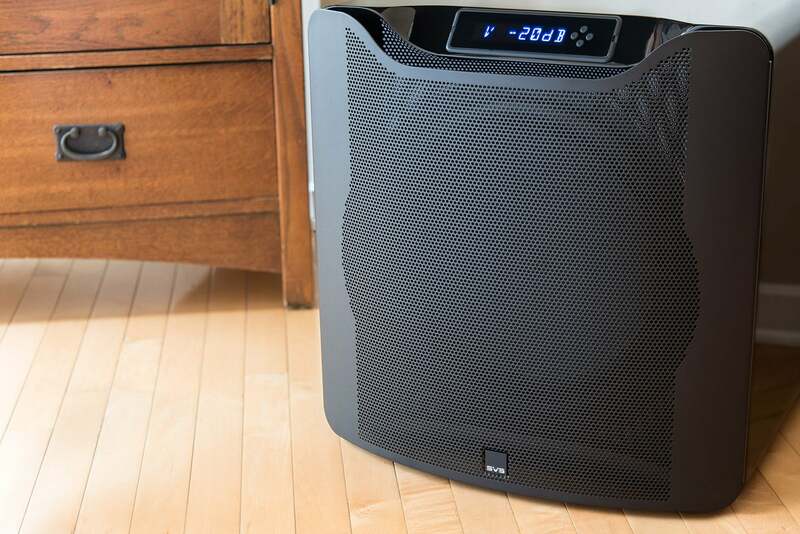 A subwoofer that can bring out the best in your music? Check. But as amazing as it was with music, it was nothing short of glorious on movies. The T-Rex scene from Jurassic Park took on a heightened sense of realism with the SB16-Ultra. 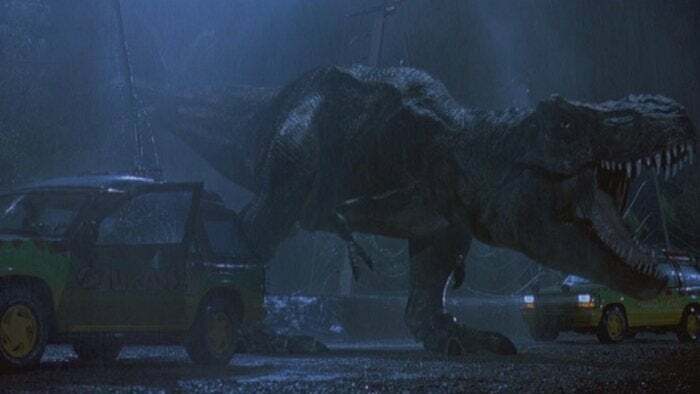 The way Steven Spielberg introduces the T-Rex in the original Jurassic Park is legendary. You feel and then hear the T-Rex’s footprints. That’s visually memorialized as ripples forming in a cup of water. Not only did the T-Rex’s footprints thunder and shake the room, but the T-Rex’s aftershocks literally shook a mirror in another room at the same time as the on-screen cup of water rippled. I want to impress one thing more. The T-Rex’s footprints were so thunderous and the roar was so dynamic and visceral that it actually made me feel eerily uneasy in the room (and I wasn’t the only one who expressed that). I’ve never had that experience with any other setup. The depth-charge scene in the Matthew McConaughey film U-571 is legendary and the SB16-Ultra rendered the depth-charge explosions with uncanny control and an anvil-like slam. The SB16-Ultra’s performance with Tron Legacy was jaw-dropping. But the crème de la crème experience came with Tron Legacy. I’ve used the Blu-ray version of this film countless times to test equipment, and I’ve never heard the 7.1-channel Daft Punk soundtrack pulsate with this level of control. The scene when Sam Flynn enters the grid is intense. The SB16-Ultra reproduced rippling, subterranean bass notes that go from audible to sensory when the scene opens and Sam slams face down into the grid. When the Recognizer’s jets engage as it lands you feel like your standing there as the landing rockets discharge. The music pounding in Castor’s club; the crowd pulsing during the disc battle; and the intensity of the light cycle duel left me utterly speechless. 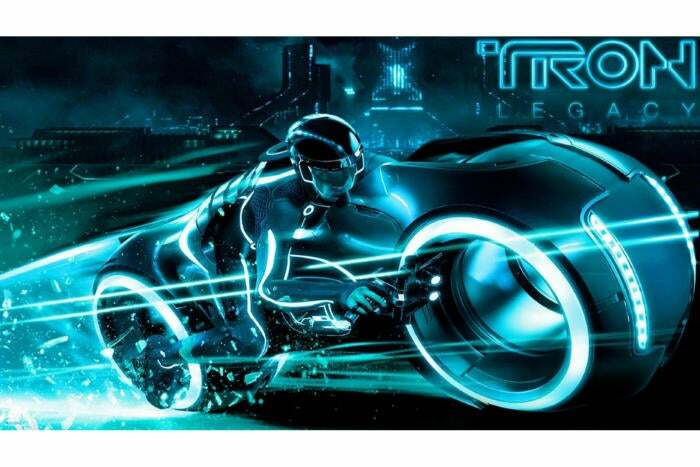 I haven’t experienced Tron Legacy in this way since seeing it in an IMAX theater. The SVS SB16-Ultra delivers incredible performances with both movies and music. It’s a great choice for a home theater; in fact, it will embarrass the audio systems in many commercial movie theaters. If you have the budget and long for reference-grade bass reproduction from your music or movie collection, you need to audition the SVS SB16-Ultra in your own listening room. If you can tolerate its size and afford its price point, the SVS SB16-Ultra subwoofer is one of the best-performing subwoofers we've ever tested.